National Institute of Hydrology, Roorkee has released an advertisement for filling up of Senior Research Assistant, Research Assistant, Junior Engineer (Senior Grade), Stenographer and Technician Grade-III Posts on regular basis for its Headquarters at Roorkee and Regional Centres available all over the country. Eligible & Interested candidates may apply Online on or before 30 April 2019. Senior Research Assistant 01 Bachelor’s Degree in Engineering in Civil/Computer Engineering. Research Assistant 01 1. Diploma of 3 years’ duration in Civil/Computer Engg. Bachelor’s Degree in Science with Physics/Chemistry and Mathematics from a recognized University/ Board. Stenographer 04 1. Bachelor’s Degree in Science /Arts / Commerce from a recognized University. 2. National Trade Certificate (ITI) or equivalent in trade of Mechanic Instrument Engineering / Information Technology & E.S.M. Engineering /Mechanic Electronics Engineering of 2 years’ duration with 3 years of relevant experience. A written test of one-hour duration will be conducted at Roorkee on stipulated date and time to prepare a merit list of candidates screened in. Written test for the post of Senior Research Assistant and Research Assistant will be in English and for Junior Engineer (Senior Grade), Stenographer and Technician Grade-III, it will be bilingual. For the post of Stenographer, in addition to the written test, shorthand and typing test on computer in Hindi/English will be conducted. 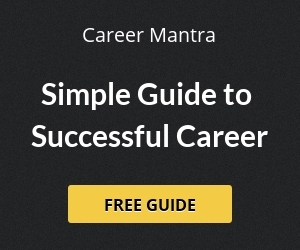 The candidates who do not possess essential qualifications need not apply. Eligible and Interested candidates may apply online through the official website i.e. www.nihroorkee.gov.in on or before 30 April 2019. No other means/modes will be accepted. After the online filing of applications, candidates are required to take a printout of their system generated online application forms and acknowledgment slip. The candidates should send a Non-refundable Demand Draft of Rs. 100/- in favor of National Institute of Hydrology, Roorkee payable at Roorkee towards the Application Fee. No fee is required from SC/ST and Persons with Disabilities candidates. The online application will only be entertained. The last date for receipt of print out of the completed online application in the Institute: 03 May 2019. 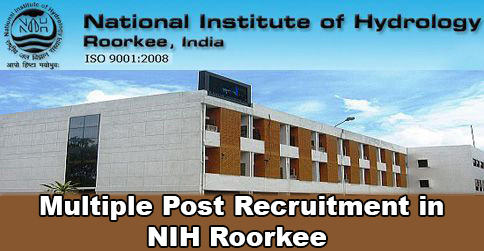 Help us to improve this article/job posting "SRA, RA, JE, Stenographer & Technician Recruitment in NIH Roorkee". We would be glad if you can comment below and provide your valuable suggestions and feedback. If this page have any wrong information/list or out of context content, then you can report us as well. gd afternoon sir /madam. What is the qualifying marks of ldc in adv2/2014 in nih.